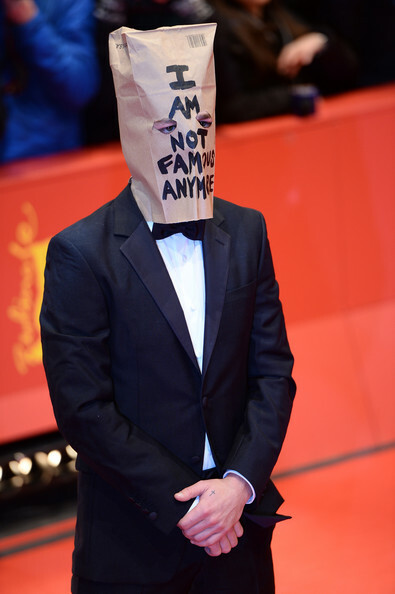 Shia LaBeouf wore a brown paper bag over his head to the German premiere of his new movie. The 27-year-old actor, who announced he was retiring from “all public life” last month, refused to show his face at a red carpet screening of Nymphomaniac in Berlin on Sunday night. He cut two eye holes into the bag and wrote the words “I'm Not Famous Anymore” in black capital letters on it before placing it over his head and attending the event in a dapper tuxedo, according to gossip website TMZ.com. He then walked off stage much to the amusement of Stacy.